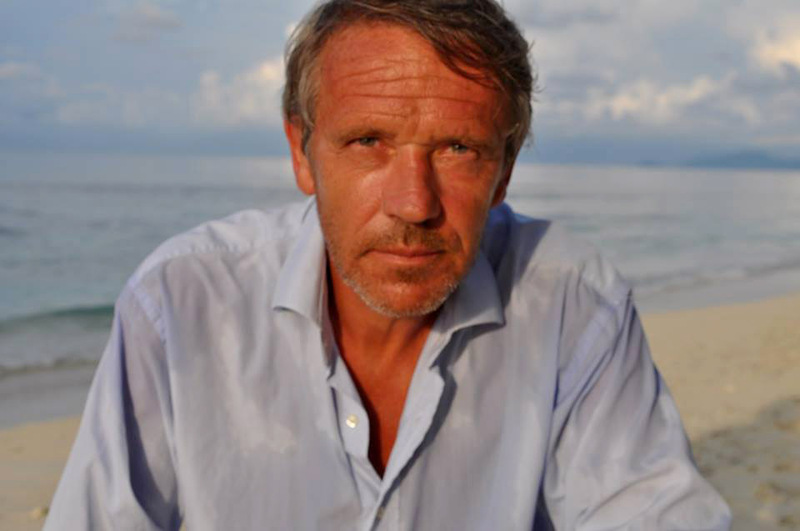 This 54 year old French businessman spent 40 days on one of our Indonesian desert islands in October 2013. 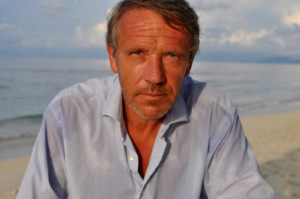 His aim was to continue directing his businesses 10,000 Km from Paris using solar energy and a communication satellite. 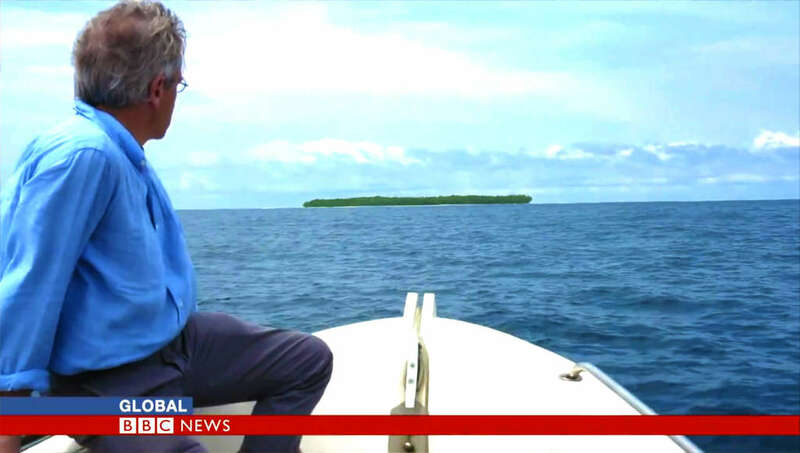 Some of the world’s most important media followed this castaway’s experience with great attention and even had live interviews with him from the island. Docastaway prepared this experience though this wouldn’t have been fully possible without the invaluable help of the famous Swiss adventurer Raphaël Domjan, a friend of Gauthier. He was at the island during the first few days installing the solar energy equipment. Nor should it be forgotten that Raphaël Domjan is the first person in history to have traveled around the world in a solar vehicle on his own Solar Planet project. 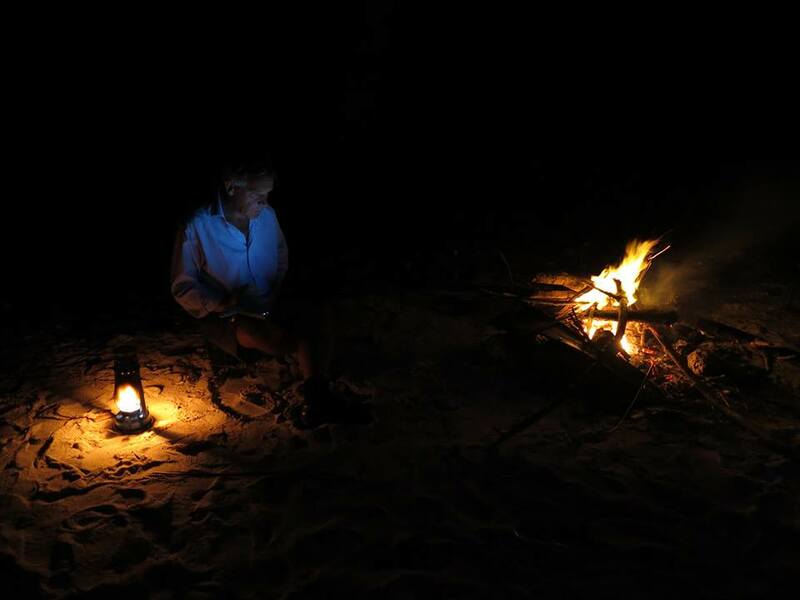 At 51 this was his first desert island experience and also the first time he found himself completely alone during a certain amount of time. Because of this he asked us for some animals to keep him company in his day to day. Gauthier arrived at the island in the company of 2 hens, 5 cats and his inseparable friend, Gecko. You can enjoy the official video of his experience above here, to the left. Also, in this other video you will be able to appreciate the preparations carried out during the first two days on arriving at the island. The first few weeks on the island were very complicated for Toulemonde, even to the point of experiencing great difficulties to survive. Apart from directing his businesses and updating his blog, he also had to reply to questions from the press almost daily. 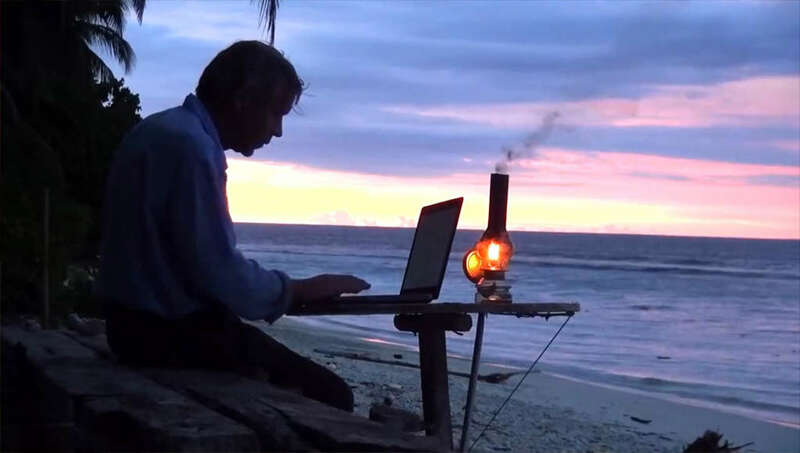 Channels such as the BBC and newspapers such as The Times, Daily Mail or Bloomberg closely followed his experience and some media even connected directly with him, live from the island. On this page you can see other press interviews and publications. By the third week Gauthier began adapting to his new reality. It was then that, bit by bit, he started to experience an up to then unknown sensation, that of being completely disconnected from modern life. “I think that that was the happiest moment of my life” he confessed in a conversation with us the year after his famous experience and which you can listen above here. During his last days, and completely immersed in his state of enlightenment, Gauthier refused to accept that he would soon have to return to civilization. Not surprisingly as soon as his experience came to an end he asked us about other desert islands in other parts of the world! Little by little Gauthier became the most assiduous ‘Robinson’ that we have had, repeating experiences every six months. Therefore, because of this, last year we proposed that he form part of our team with the task of trying new islands in different continents. Up to date Gauthier has already tried 5 of our new islands and some of these passed the test before being put on offer to our clients. Last summer he was on Siroktabe, photos of which you can see on this page. 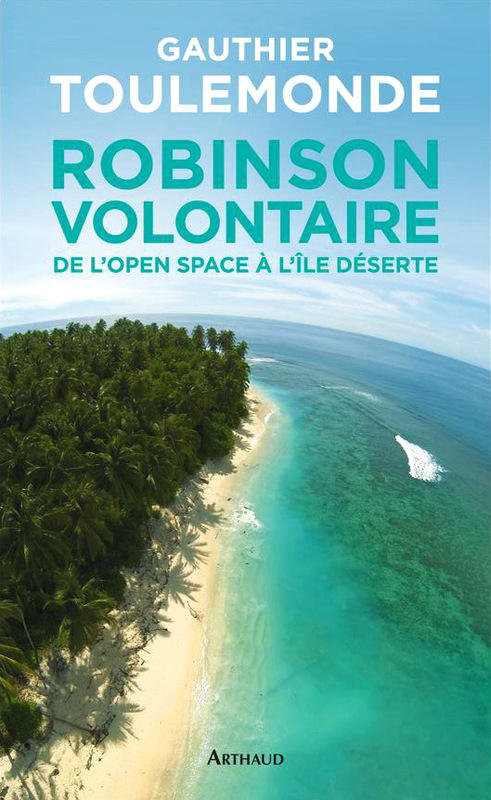 In 2013 Toulemonde launched Web Robinson, a page dedicated to the world of castaways which he maintains updated with all his experiences. In addition, in January 2015 Gauthier published a book about his famous experiment as well as his sensations, his fears and his relationship with the animals. The book in French is already on sale and can be bought on Amazon. This program is designed to keep you alive and endure until the Glory of the Second coming of our Lord and savior.